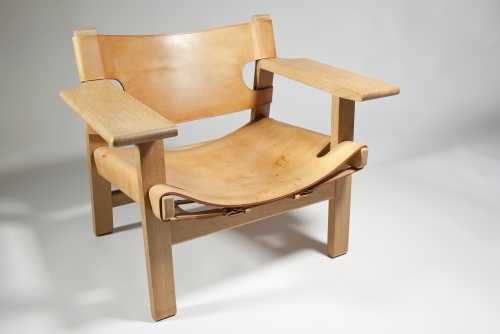 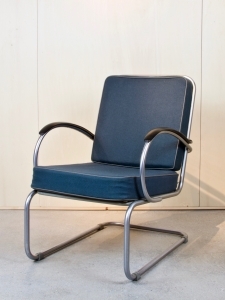 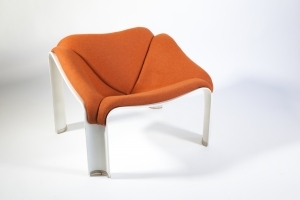 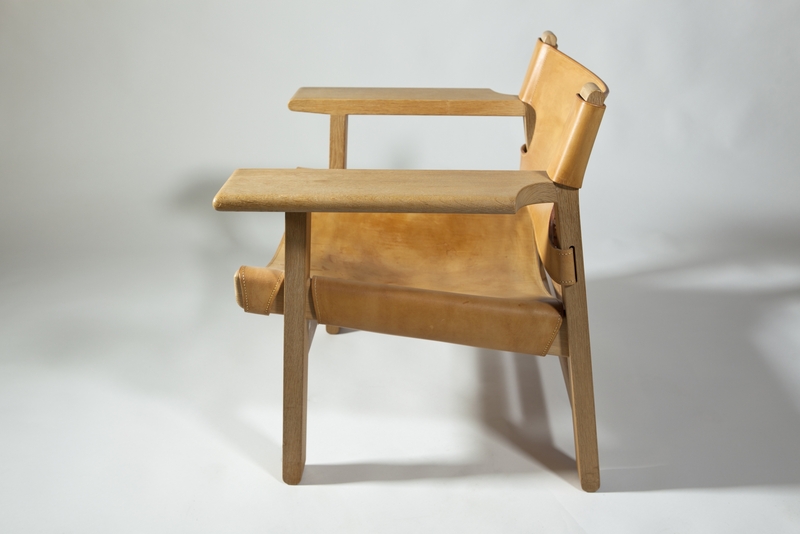 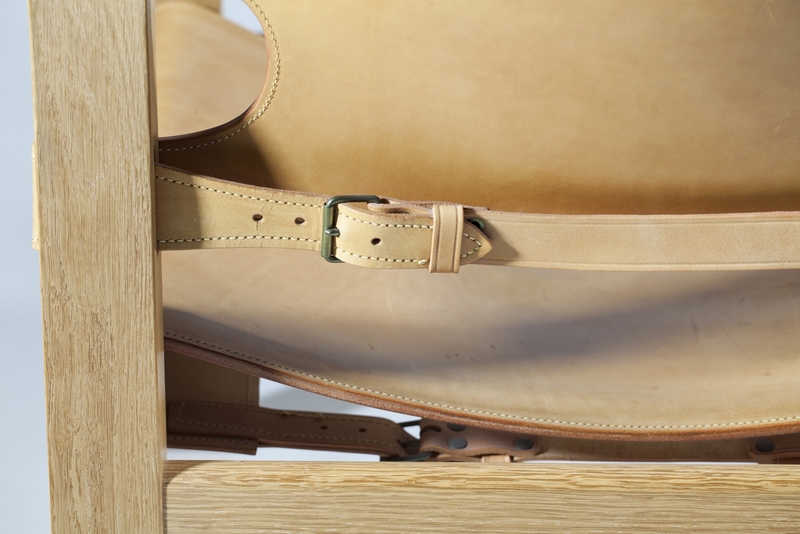 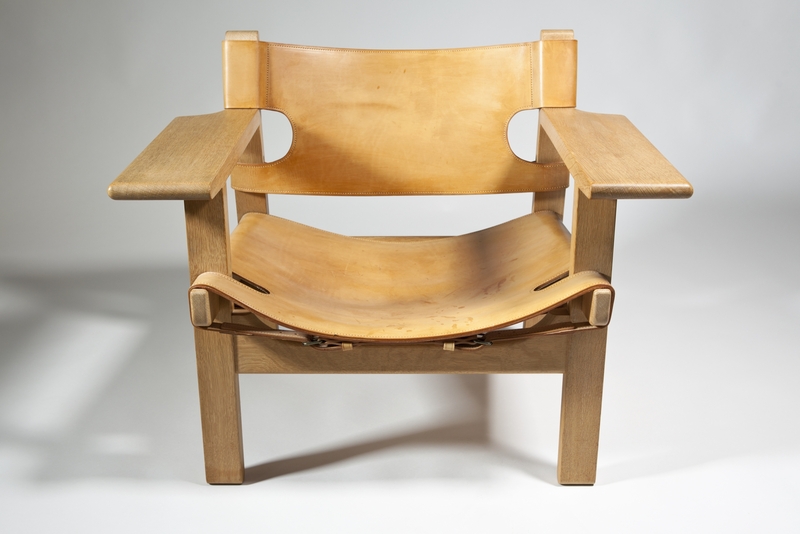 Børge Mogensen designed the "Spanish" chair for Fredericia Stolefabrik in 1958 after a journey through Spain. 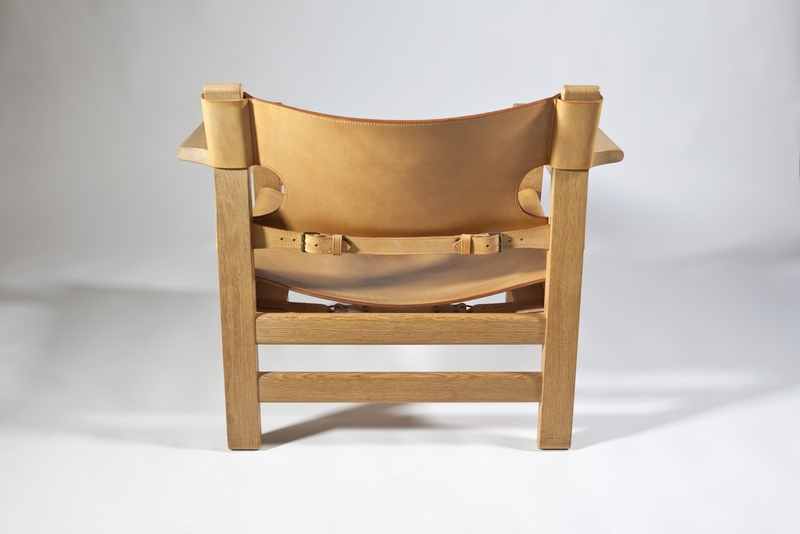 During this trip Mogensen came across a traditional type of chair, based on ancient Islamic culture, with wide armrests and deep seats. 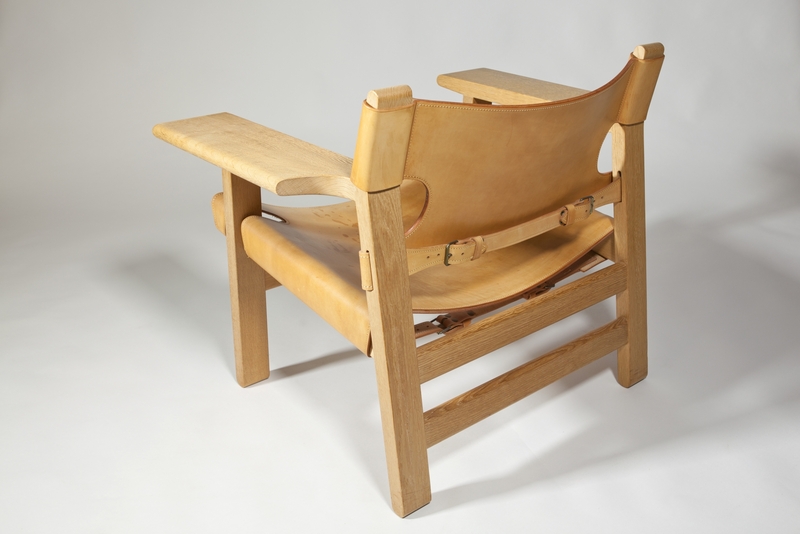 He combined these characteristics with his own geometrical precision and the result was a marvelous piece of design which instantly became a design icon. 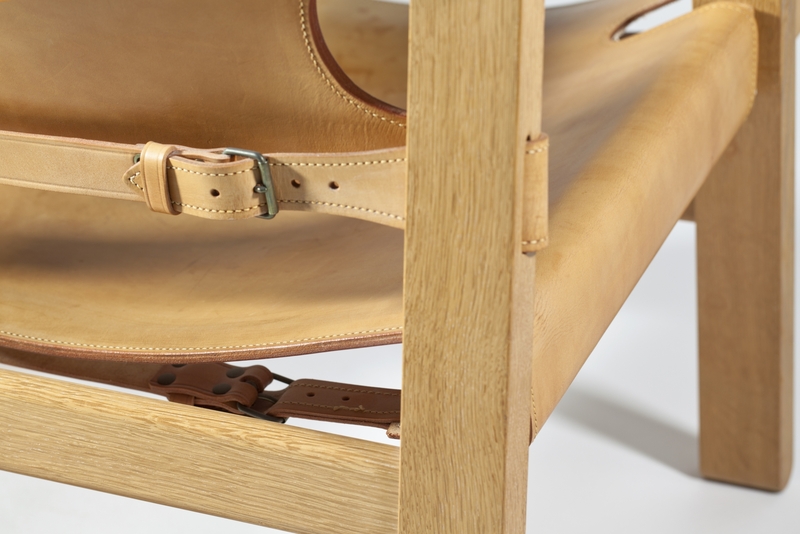 The combination of materials as saddle leather and oak, make these chairs rustic and suitable for every home.